Since taking over from his father Tom Dreaper in 1972 Jim has always been fully involved in the working of the yard and is first out in the morning, checking each horse as he gives them the first feed of the day, and is the last to see them as he does the evening feed. The yard has never had a string of more than 35 to 40 horses, just enough to make sure that they all receive full, individual attention. This attention to detail and personal care means that each horse is trained at a pace that works for them and their progress is carefully observed along the way. 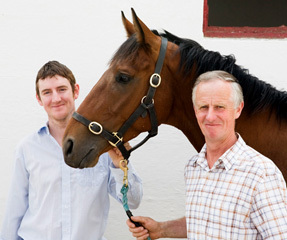 After working in the UK for a number of years, riding for some of the top trainers in the business, Jim’s son Thomas plays a central role in training the horses and running the yard with the same dedication and drive. 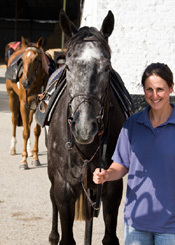 As Assistant Trainer, he concentrates on the progress of each horse, working them on a tailor-made programme. The yard is kept running smoothly by Head Girl, Paula Keene. Paula has been working in Greenogue for over five years and was recently presented with the ISSA Leinster National Hunt Award 2008. Jimmy Flanagan is the yard’s farrier, as was his father before him.